Purchase online L298 Dual Full Bridge Driver in India at low price from DNA Technology, Nashik. 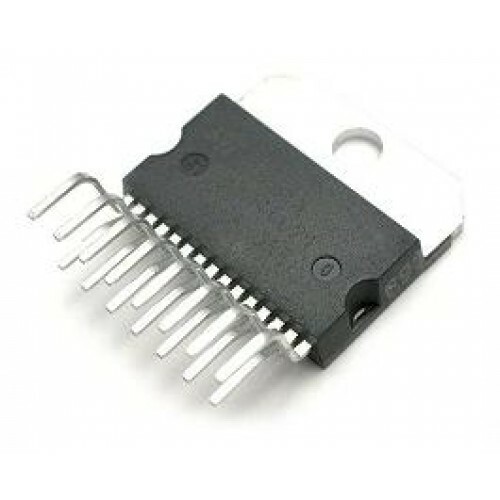 The L298 is an integrated monolithic circuit in a 15- lead Multiwatt and Power SO20 packages. It is a high voltage, high current dual full-bridge driver designed to accept standard TTL logic levels and drive inductive loads such as relays, solenoids, DC and stepping motors. Two enable inputs are provided to enable or disable the device independently of the input signals. The emitters of the lower transistors of each bridge are connected together and the corresponding external terminal can be used for the connection of an external sensing resistor. An additional supply input is provided so that the logic works at a lower voltage. L293D H-Bridge Driver ICL293D is a quadruple high current half-H drivers. The L293D is designed to p..
L298 Based Motor DriverThis is a high current motor driver perfect for driving DC Motors and Stepper..